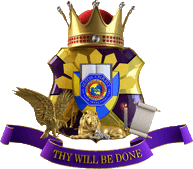 The Kingdom of Jesus Christ, officially the Kingdom of Jesus Christ, The Name Above Every Name, Inc. is a Philippine-based Restorationist church. It is founded by Apollo Quiboloy. Before the establishment of the Kingdom of Jesus Christ (KJC) religious group, its founder Apollo Quiboloy was said to have gone on an exile to Tamayong for five years and later at Sitio Kitbog at the foot of Mount Matutum in South Cotabato. Quiboloy says that it was revelations from God through his dreams which led him to the foundation of the KJC. Quiboloy is a former member of the United Pentecostal Church. The church started on September 1, 1985, had 15 initial members and Quiboloy's prayer house was situated along Villamor Street in Agdao, Davao City. As of October 2016, the KJC congregation reportedly claims to have 4 million tithed followers in the Philippines, and 2 million followers outside the country. The KJC believes that its founder, Apollo Quiboloy, is the Appointed Son of God. A self-described account of Quiboloy's birth involves God coming to his mother as a cloud to declare him as his son. Members of the church, also called "Kingdom citizens", believe that salvation is closed to non-members. Organizations, the Children’s Joy Foundation and the Sonshine Philippines Movement are connected to the KJC. The Children's Joy Foundation focuses on providing humanitarian aid to destitute children and the Sonshine Philippines Movement is involved in reforestation and disaster-relief efforts. ^ a b c d e Hodgart, Kenny (7 October 2016). "The Messiah friend of President Duterte". Asia Times. Retrieved 9 December 2016. ^ a b Estremera, Stella (30 June 2016). "A prayer movement instead of planes". Sun Star Davao. Retrieved 9 December 2016. ^ "KJC History". kingdomofjesuschrist.org (Wayback Machine). Archived from the original on 29 April 2005. Retrieved 22 September 2016.